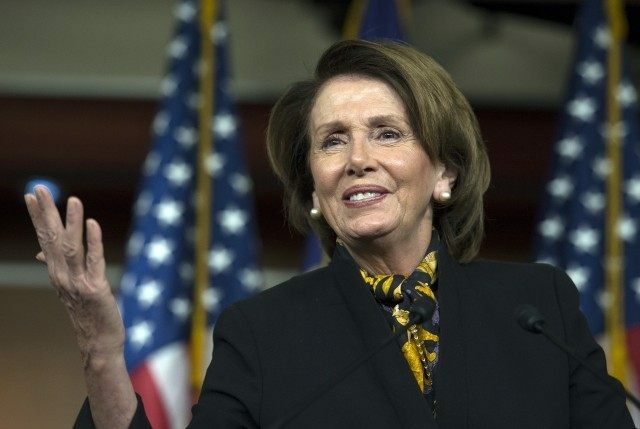 WASHINGTON (AP) — House Democratic leader Nancy Pelosi predicted Wednesday that Republicans will “rue the day” if the Supreme Court buys their arguments and invalidates tax subsidies for millions of people under President Barack Obama’s health care law. Republicans have said they will try to ensure people don’t lose insurance if the high court rules this summer against tax subsidies for health care coverage in certain states. But they haven’t said how they would do it. Such a ruling would present a major challenge to the GOP. Without a congressional fix some 8 million people could lose subsidies, which help them pay for their health insurance. The California Democrat, who was House speaker when the health bill became law in 2010 and was a major force behind its passage, insisted that the law was ironclad constitutionally and would not be overturned. “I don’t think it’s going to happen so it’s no use speculating on what I don’t think is going to happen. But it would be bad news for them, it would be really bad news for them,” she said of Republicans. Nearly 8 million people could lose up to $24 billion a year in health insurance subsidies depending on the outcome of the Supreme Court case, King v. Burwell, which focuses on the literal wording of the complex law. Opponents say it only allows subsidies in states that set up their own insurance exchanges. Only 13 states and Washington, D.C., are running their own online insurance markets; other states rely on federal marketplaces, and tax subsidies in those marketplaces would be threatened if the court rules against the administration. Pelosi said she knew the law well and that opponents were relying on a phrase taken “out of context” in pressing their case before the court. If Republicans who oppose the law get the Supreme Court ruling they want, the onus would be on the GOP-led Congress to come up with a fix. It’s not at all clear how they could do that in a way acceptable to the Obama administration and politically palatable to GOP voters heading into a presidential election year.